In 2008 my bike was stolen while I was at work. 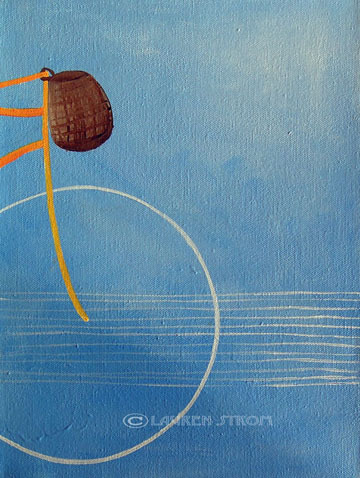 As I shopped for a new bike I was inspired to paint simple bikes on abstract backgrounds. Distilling the image of a bike to it's most essential parts. As the years go by I've started adding more and more detail to the actual bikes, but in the end the painting must always be uncluttered and uncomplicated.